About Us - Tri-Star Electric, Inc.
Tri-Star Electric is a family-owned electrical contractor, serving the needs of NW Oregon and SW Washington. Tri-Star focuses on providing electrical contracting services, with a specialty in commercial and industrial wiring, as well as Design-Build. With over 36 years of experience, Debbie and Rich Metzler founded Tri-Star in 2002. 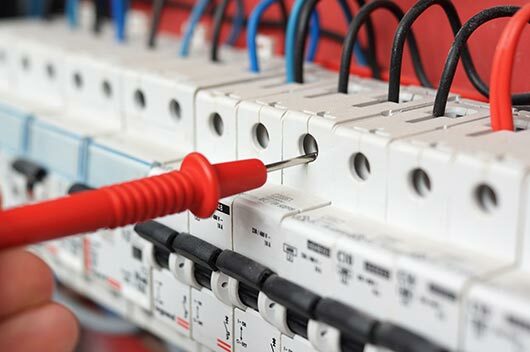 Rich, is licensed as a General Supervising Electrician for the State of Oregon and a Master Electrician for the State of Washington, and Debbie, an administrative and safety expert in the field, are committed to providing personalized service to every customer. As NECA-IBEW, Local 48 contractor, you can be assured that we only hire capable, well-trained professionals to complete your projects. Both owners are hands on, working directly with each customer to ensure each project is completed with the highest customer satisfaction. It’s our core commitment to customers that has earned us the trust and reputation to hold a solid base of referrals and repeat customers.